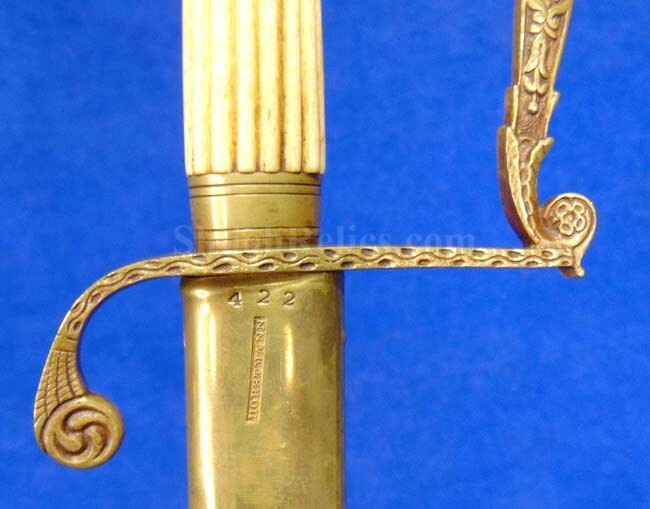 Here is a great looking sword with a lot of character. 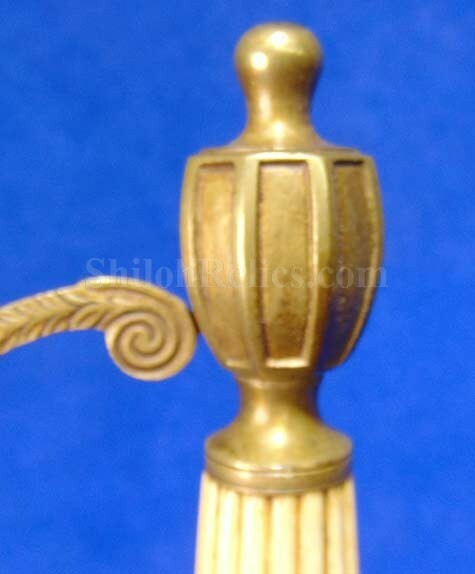 This sit he style that is known to collectors as the "Urn" top because of the distinctive shape of the pommel cap. 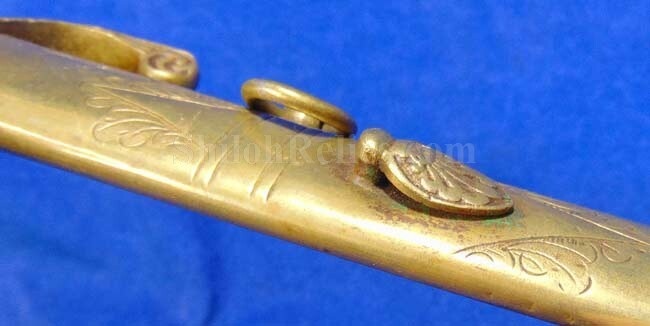 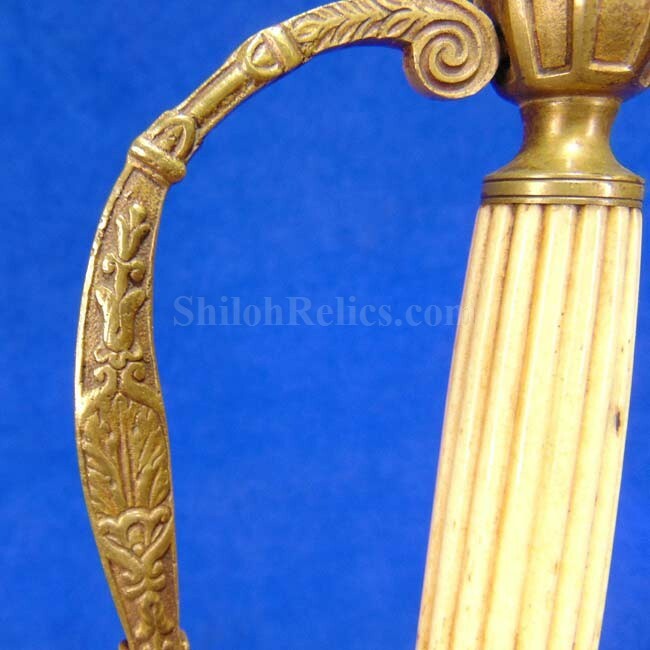 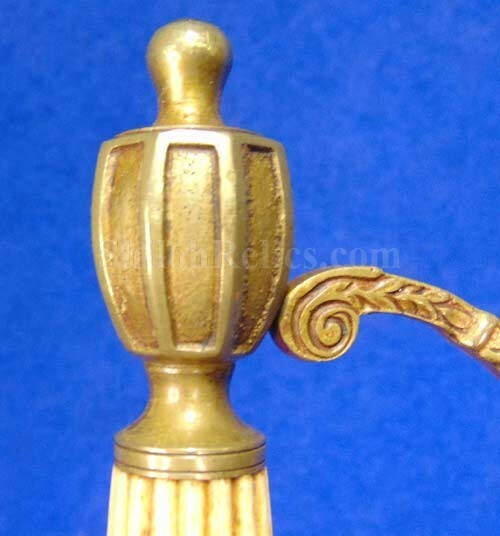 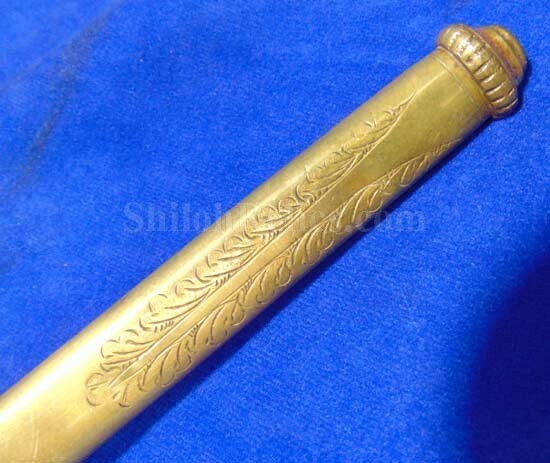 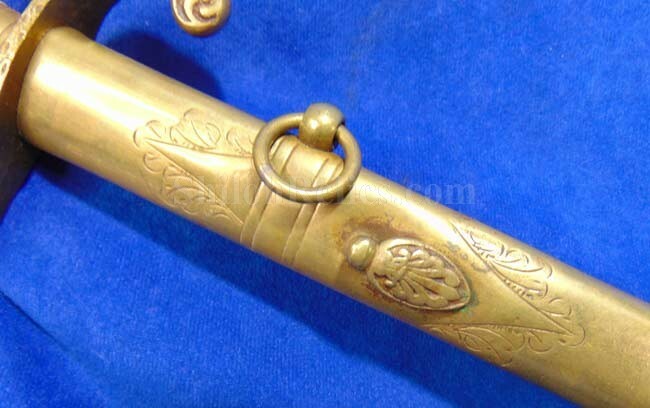 It has the beautifully designed brass hand guard with the single branch. 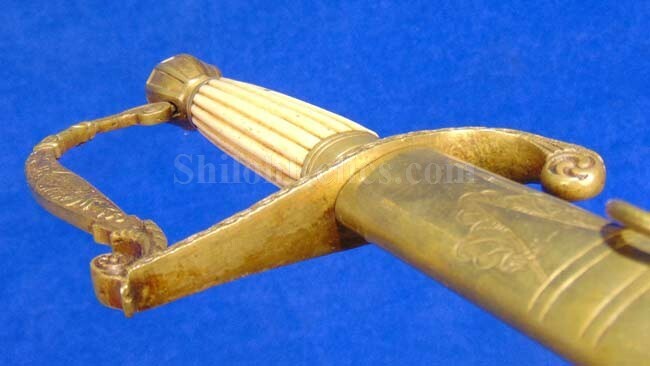 On the handle of the sword it has the original handle intact and it is constructed of bone. 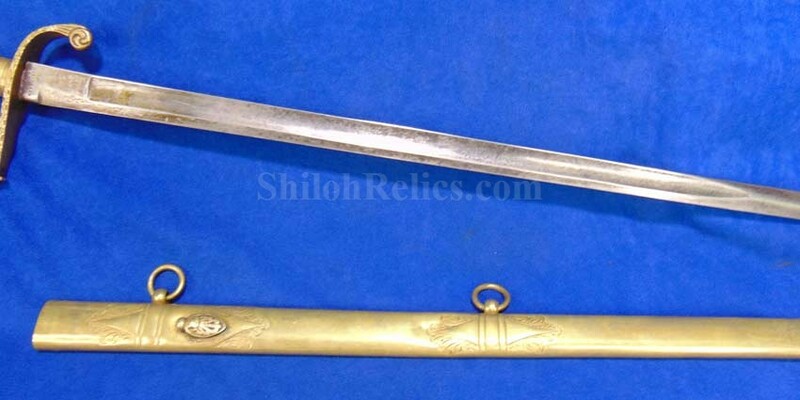 The blade of the sword is full-length at 29 inches. 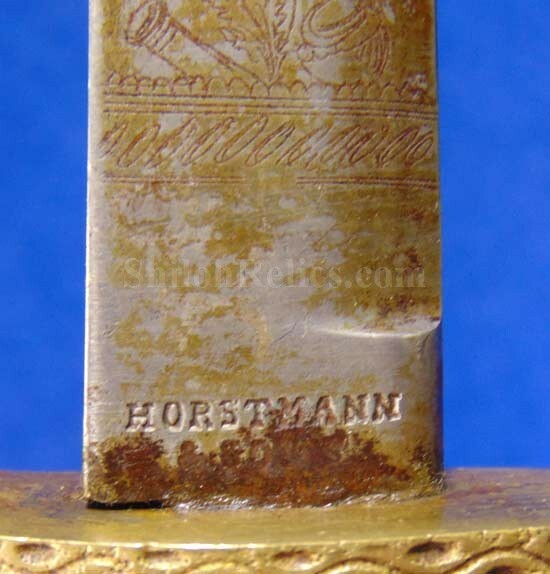 At the base of the blade, it has the maker marking of the Horstmann firm of Philadelphia. 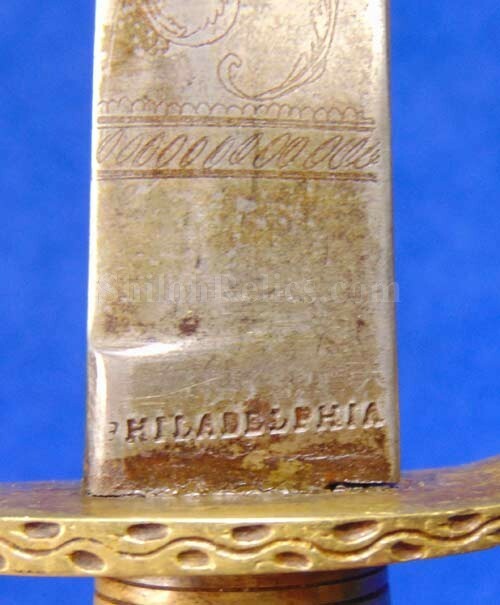 It has the simple but attractive designed engraved into the blade on both sides. 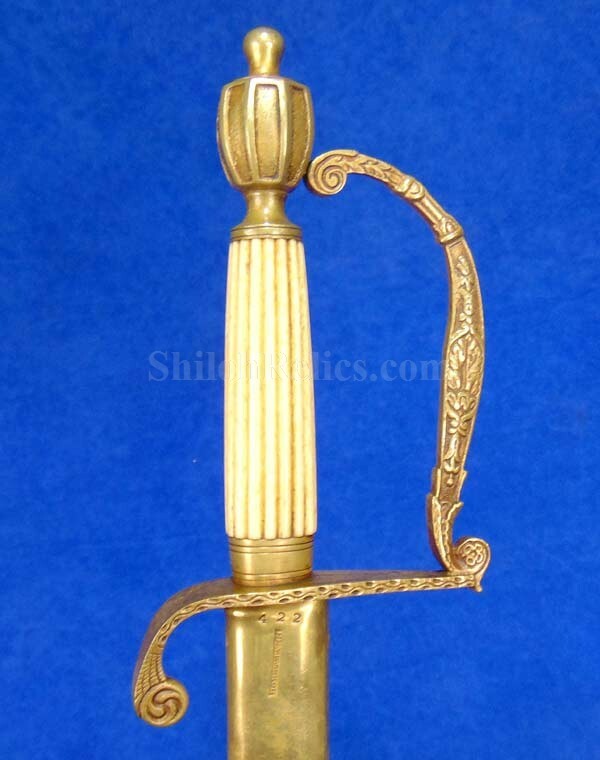 The sword is accompanied by the original all brass scabbard. 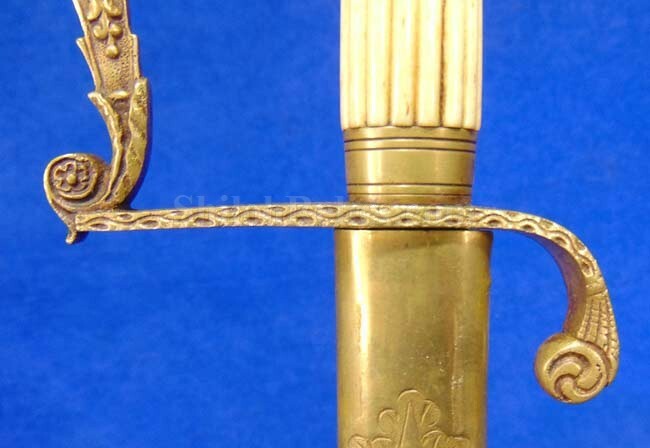 The scabbard has both of the mounts and rings intact. 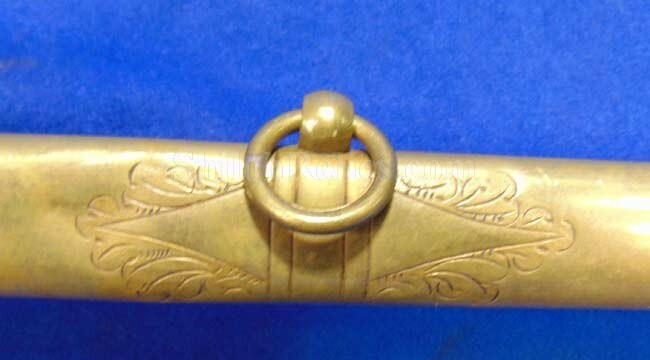 It also has the button at the top where it would be attached to a frog style belt attachment. 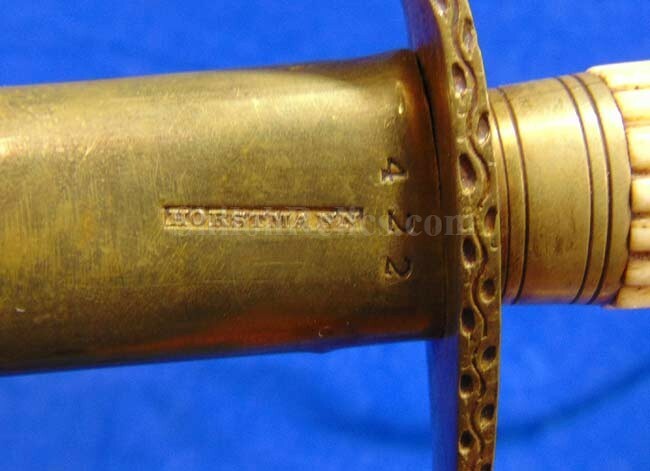 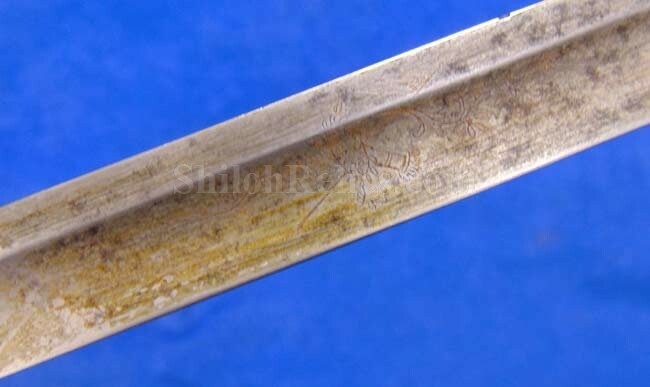 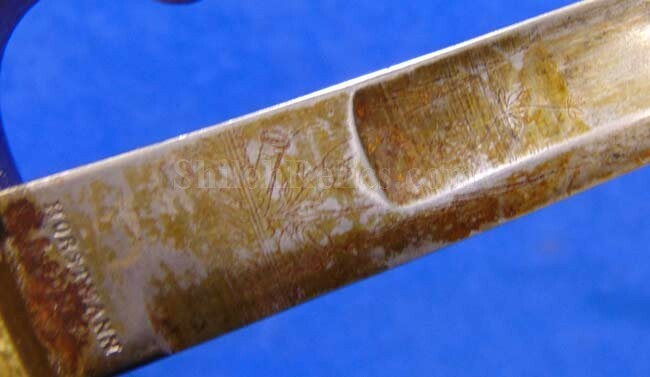 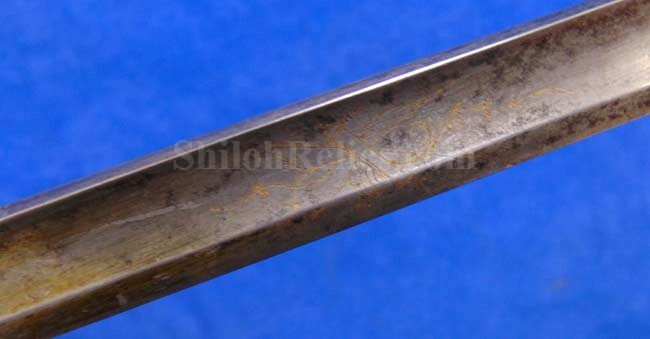 On the top of the back of the scabbard, it has the matching and correct Horstmann maker marking stamped into the brass. 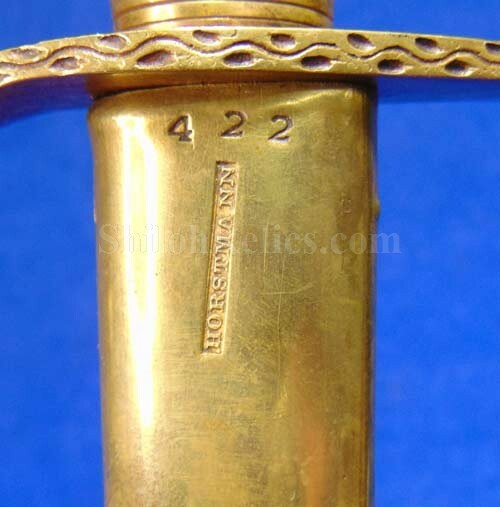 It also has the "422" stamping which is the model of the sword. 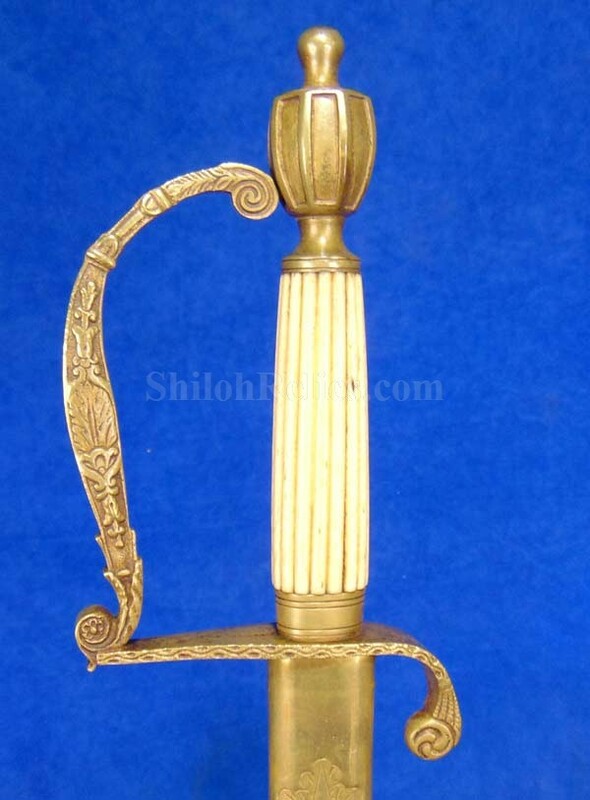 This is a great looking sword and scabbard with a beautiful design.